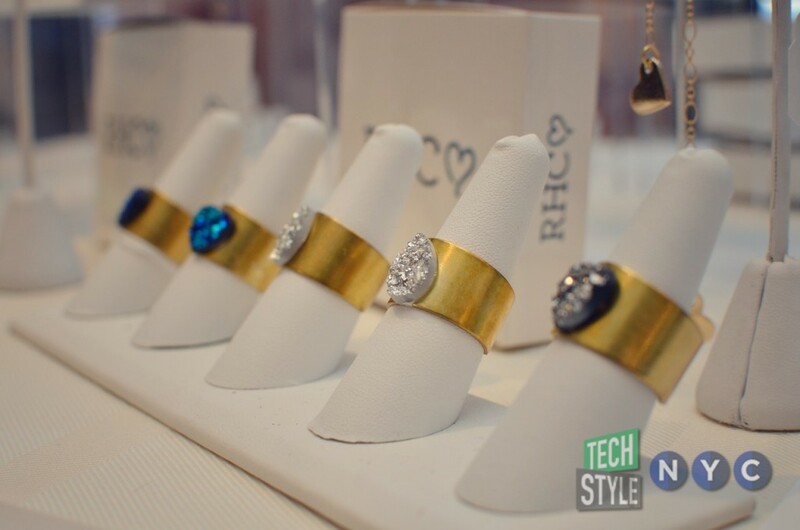 This season’s TechStyle NYC Experience was unlike any other. 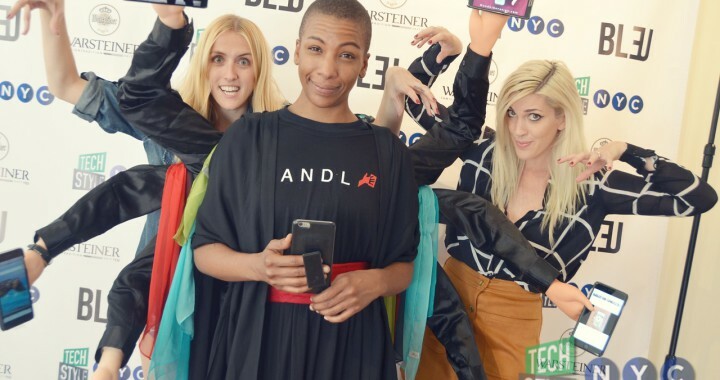 The ultimate retreat for high-end influencers, media, and shamelessly chic fashionistas came back for another full day of fashion, tech, beauty, and lifestyle on Monday, September 14th, 2015. The experience was hosted by fellow fashionisto, TV personality and Style Expert, Noah Levy at Studio Arte. The roster of influencers included some loyal TechStyle NYC faces like Courtney Kornegay of The Courtwalk, Emily and Abigail of The Wanderlust Girls, Alexandra Dieck of Lexicon of Style, Bianca Jade of MizzFit, and actor Malik Yoba, and new ones including Miss New York, Nicole Kulovany along with actress and comedian, Carey Reilly. Doors opened at noon where guests were treated to a special gift from Donde Fashion™ with a quick download of their new shopping app. The Beauty Bliss Bar featured complimentary makeup touchups courtesy of Stylisted, an in-home beauty service, along with dry styles and specialty braids by Tressenoire, and True Concepts Organic. The Bolden Company provided nourishing hair and body oils. The Style Media Closet showcased designs by Meredith Marks, T. Tandon, Rejected Hearts Club, and Titika Active Couture. Swggr, an app that rewards fashionistas/os for their style hung out for the day and was in search for trend setting brand ambassadors. Didn’t get to speak to them? Simply let us know and we’ll put you in touch. Mavatar showcased their Carts for Cause™ from celeb Stylists including Phillip Bloch, Derek Warburton and of course TechStyle NYC’s host, Noah Levy. The peach parlor provided the ultimate bra-ha moment to attendees. Shapeways caused quite the stir with their 3D printed bags, jewelry designs and breathtaking masks. HandL showed us how we can remain hands free-yes, while still holding our phones. 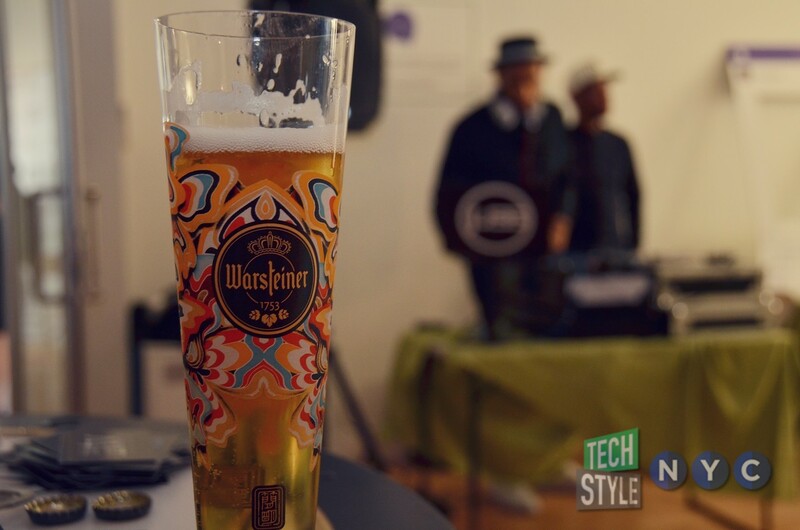 Attendees were treated to beverages from SoundTea and cold brew coffees and cocktails from Kopi Trading Co.; Our friends over at Warsteiner served up their Premium German Pilsner in gorgeous gold-accent glasses that everybody got to keep. The cocktail reception featured a Do-It-Yourself mini-bar with an assortment of VeeV vodka that paired amazingly well with the flavors of SoundTea. Brode – the world’s first hydration vitamin hooked everybody up with some packs to keep them hydrated throughout the party and to avert guests from a next-day hangover. The team over at Osteria del Principe provided sandwiches while Dosha Pops and Stroopwafel provided some great snacking . Got a little rowdy and spilled a bit of your drink on your favorite outfit? BoomerangNYC was there, tricycle and all, to take care of the blunders to give out some credits to try their on-demand dry-cleaning and laundry service. The positivity was in the air at the Mood Lounge with Lifetherapy where guests got to Choose Their Mood and were gifted fun mood bracelets. The Thync Bar, allowed guests to experience a calm or energy burst with their wearable tech. Can we say #PartyVibes?